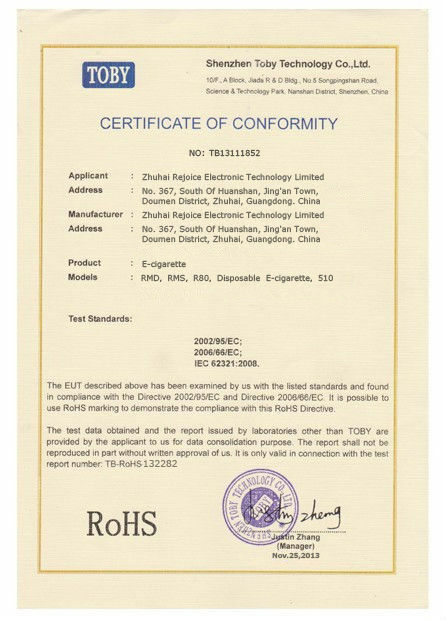 Rejoice combines design and production as a professional electronic cigarette manufacturer. We specialize in manufacturing high-end CBD and THC oil atomizer, battery and vape pen; dry herb vaporizer; box mod and starter kits; various DIY RDA / RTA, and the related accessories. 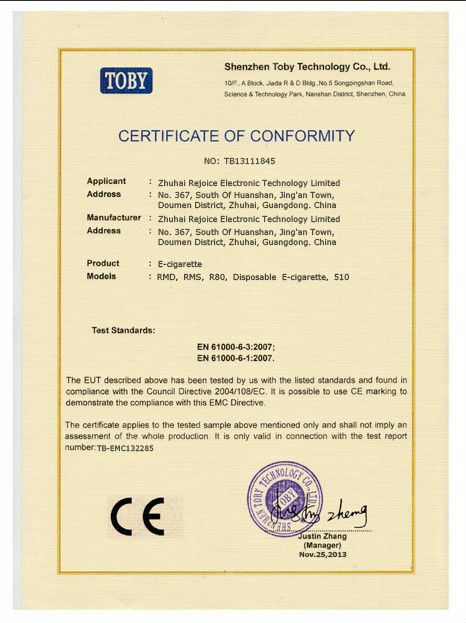 We obtained the certificates of CE, RoHs and FCC etc. 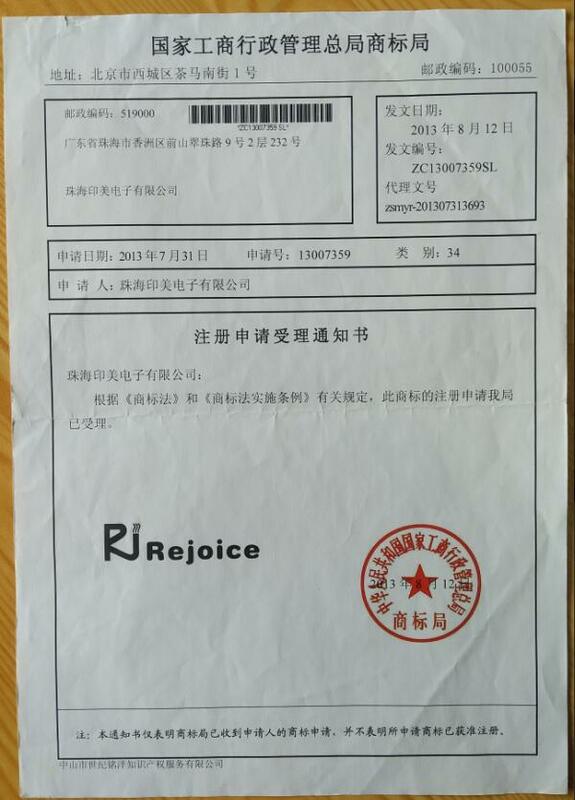 "Top-ranking quality, unique design, rapid delivery and 100% satisfaction for customer" is the service concept of Rejoice. With a professional design and R&D team of more than 20 excellent engineers, we design our own brand products and exclusive customized OEM/ODM products. At the same time, the innovation and personalized design products of proprietary brand have been favored by more and more e-cigarette enthusiasts. 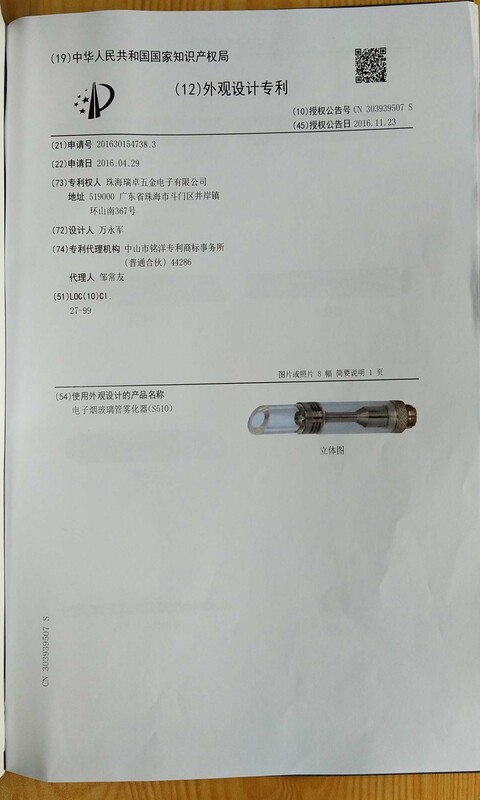 In the international market, our products have enjoyed a high reputation in Europe, Southeast Asia, North America, Russia, Africa and other countries. Rejoice is striving to provide a kind of more environmentally friendly and more fashionable way of smoking for customers. We welcome new and old customers from all walks of life to contact us for future business relationships and achieving mutual benefits cooperation!